Phoebe is rushed to the hospital for the birth of her brother’s triplets. 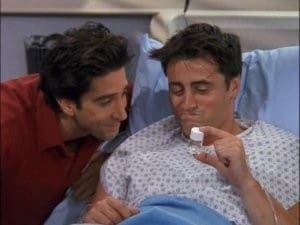 While there, Joey winds up with severe sympathy pains that turn out to be kidney stones. 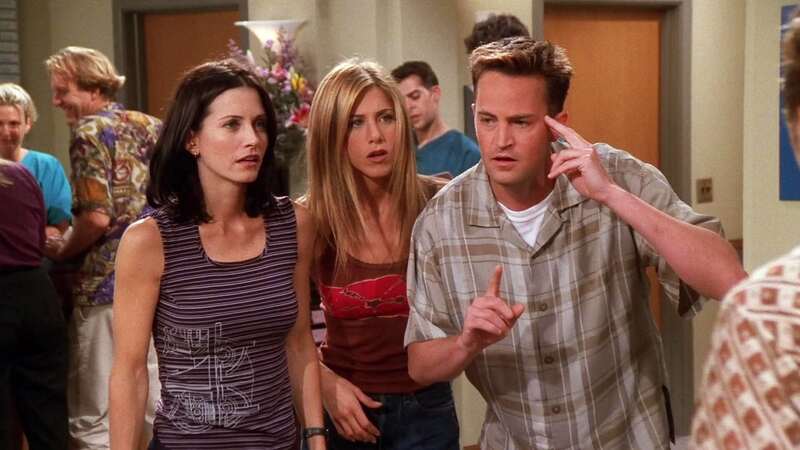 Meanwhile, Rachel tries to set Monica up on a date with a male nurse.